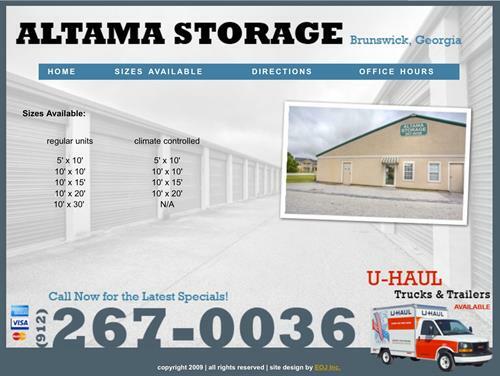 Monday - Friday: 9:30 a.m. - 5:30 p.m.
Altama Storage is a storage area located in Brunswick, Georgia just behind the Wal-Mart. We offer a well-lighted storage facility with an on-site manager and electronic access. The entire facility is located above the flood plain. We offer a number of different sizing options including climate controlled (air conditioned) units. We have specials all the time, so please give us a call and find out the latest deal.